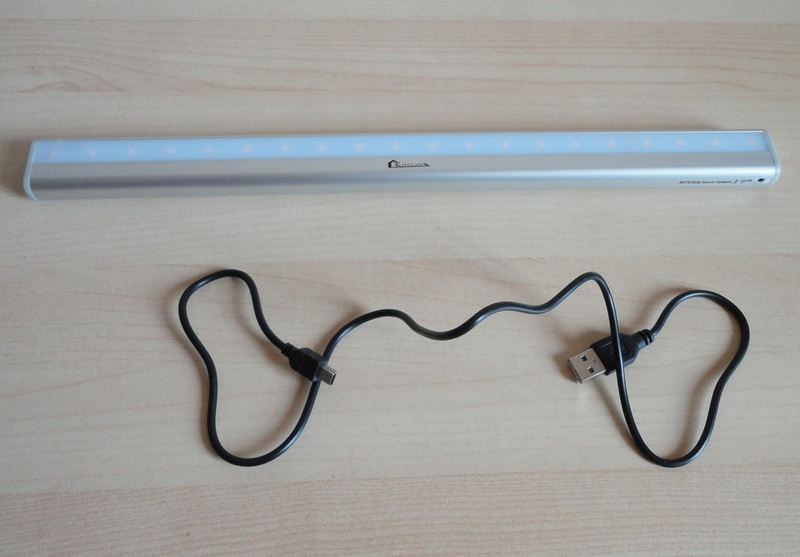 This is a motion-sensing LED strip light with a difference: it is recharged via a USB cable so there is no need for removable batteries. 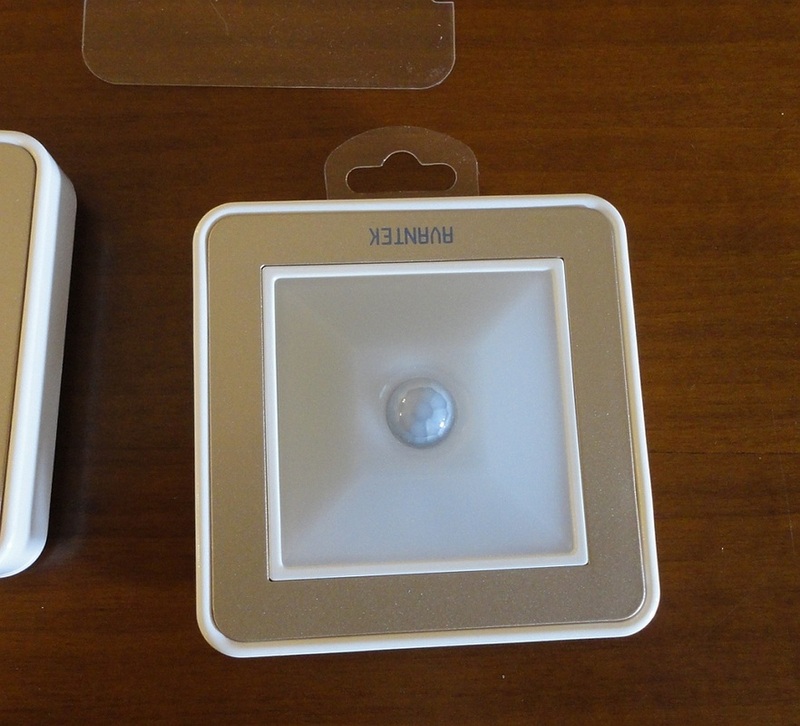 These new LED lamps are getting stronger and brighter. 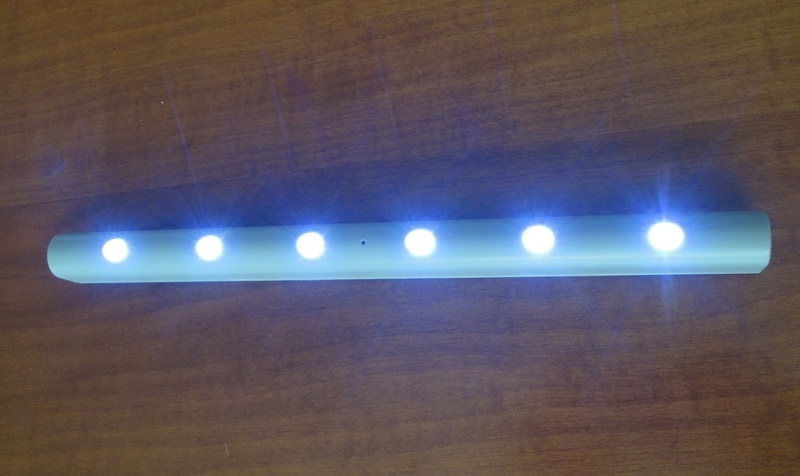 This one has 20 LEDs and gives a very luminous warm light along its length of approximately 15 inches or 36 cm. 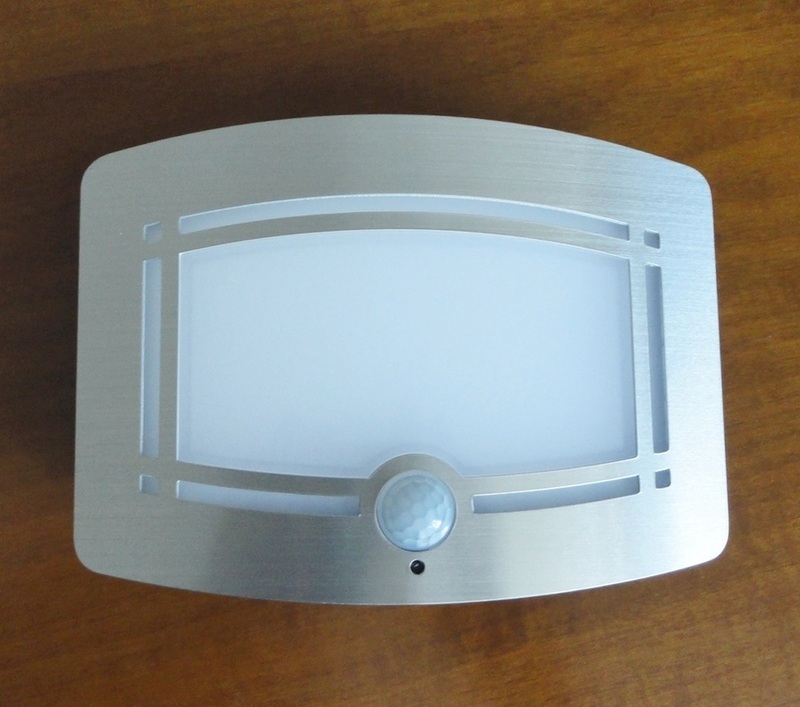 It has an air of solidity and quality and looks sleek in a silver finish. Installation is super simple. The mount has a very strong 3M adhesive strip which sticks well to most clean surfaces and a powerful magnet to hold the light unit securely. So choose your location well! 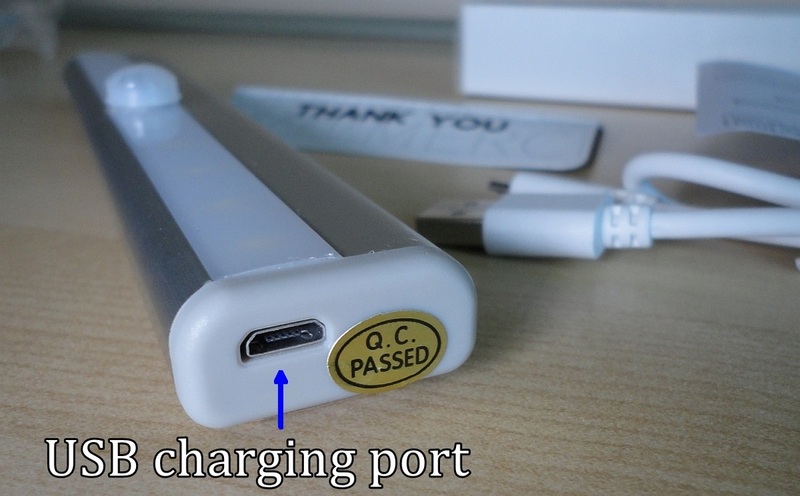 When the light dims, you detach the light unit from the holding strip and recharge it like any USB device (by wall charger, or via the USB port of a computer); since the enclosed USB charging cable is rather short (26 inches or 66 cm), another option would be to use a portable power bank, if you don't want to detach the unit. As for autonomy, I have it mounted under a kitchen cabinet where it gets triggered a lot, so I find myself recharging every few days, but in a closed cabinet or wardrobe it would last a lot longer. The lamp has an ON/OFF switch. Although it's only as large as a pin head, the sensor picks up motion and bodily heat within a very useful range of 2 metres, in all light conditions (that's why mine needs such frequent recharging); the lamp stays lit for 15 seconds but I have noticed that it is quite slow to respond again, even if triggered repeatedly. This may be an issue depending on how you plan to use the fixture. I really like these motion-sensitive LED light units and it's great to see the option of USB charging, especially for people with reduced manual dexterity who might struggle with opening small compartments and fiddling with batteries. An excellent product, well priced within its market segment. 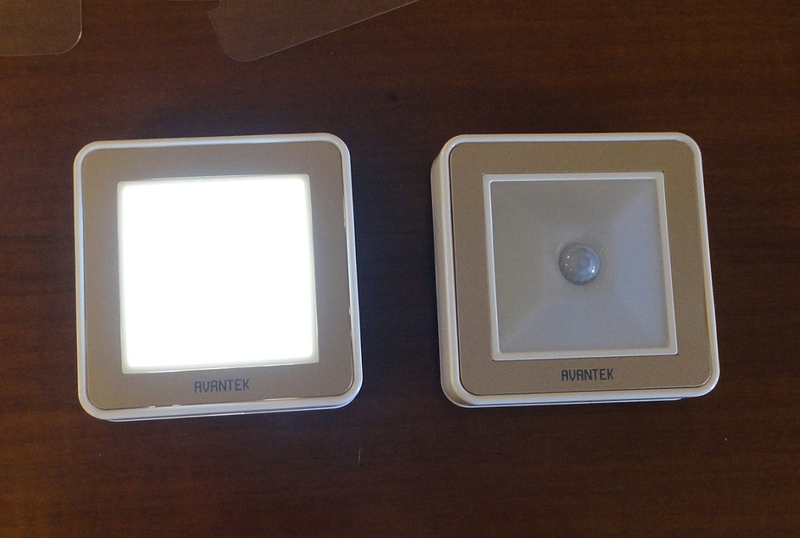 Something a little different: instead of needing batteries, this motion-activated LED lamp is recharged via USB port. I accepted a free sample because I was intrigued by this new option, something I had previously seen on portable torches. The unit is a very useful size (7 x 1 ¼ inches or 18 x 3 cm). It is well made, has an air of solid quality and is heavier than I expected, due no doubt to the integral, rechargeable battery. 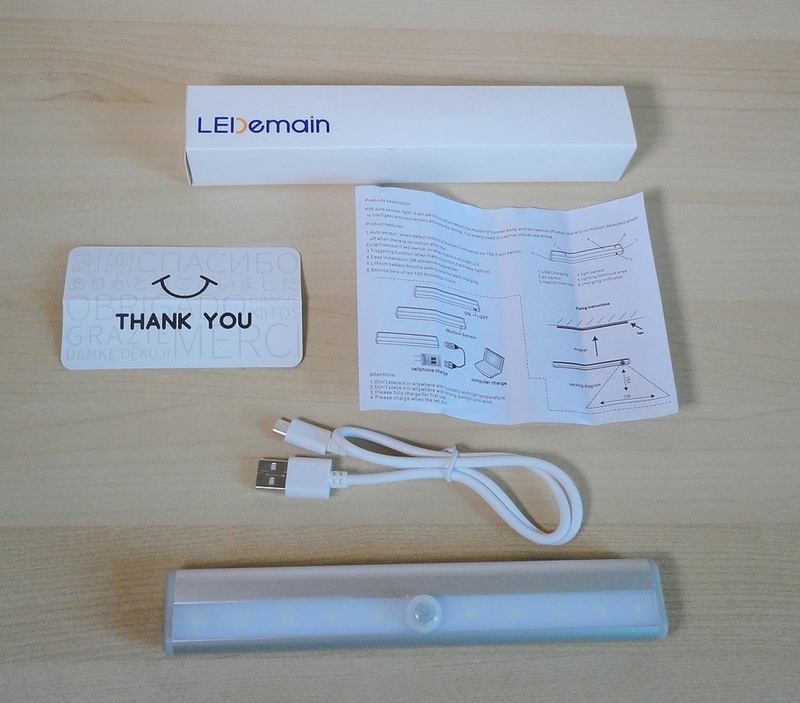 To compensate, the magnet and the 3M adhesive strip are very strong and hold the lamp securely in place. So choose your location well! 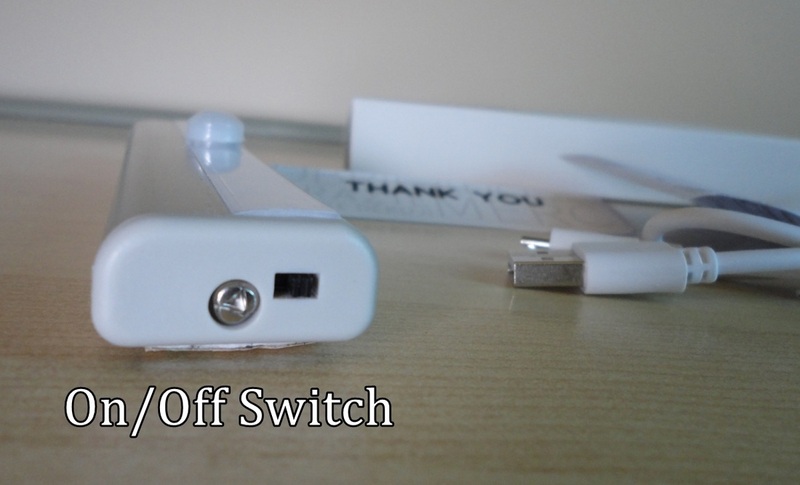 Once installed, you will only need to detach the light unit from the backing strip every few months to recharge it via a standard USB wall charger, or even the USB port of a computer; another option would be to use a portable power bank, if you don't want to detach the unit. 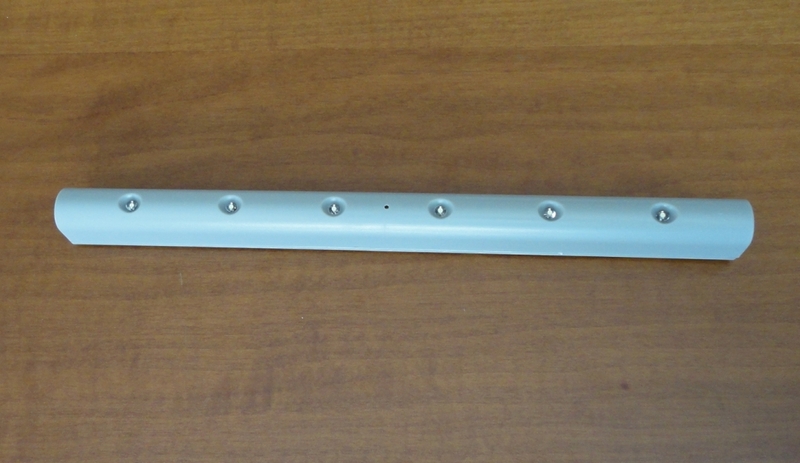 The charging cable is about 19 inches or 47 cm (including the connectors). The manufacturer states an autonomy of 3 months based on daily use of 5 minutes, although the manual says 6 months. I've only had it for one month, so I cannot yet comment on that. Apart from the very solid mounting, another feature I really like is the ON/OFF switch (there may be times when you do not want the light to come on). The sensor picks up motion within a front and side range of 3 metres, in low light conditions and stays on for 15 seconds, unless it senses continuous movement; in other words, the light will only come on in the dark, saving battery life. With 10 LEDs, it gives off a strong but diffused light which is bright enough for most closets, cabinets and dark corners. Also useful for stairwells, landings, corridors (especially if you mount several in a staggered row) and during a power cut. Apparently there is a longer unit with 20 LEDs if you need more light. These light units have become indispensable and it's great to see an alternative to replaceable batteries, especially for people with reduced manual dexterity. An excellent product, well priced within its market segment. 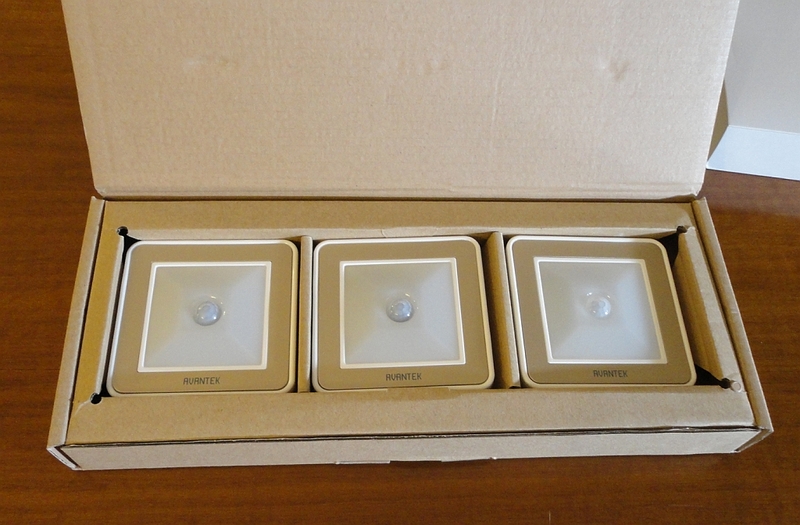 An adorable set of 3 night lights that can go anywhere and look both elegant and unobtrusive. 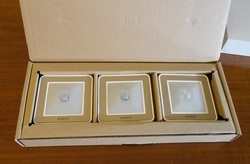 Sent to me at no cost for evaluation, these lights found their place in my house in no time. They are the sort of thing that you wonder how you ever did without. They are LED lights, reliably triggered by motion within 3 metres and within a 120 degree range. The light they emit is remarkably strong (thanks to 10 LEDs) but soft and diffused, unlike some that hurt your eyes. It is quite sufficient to guide your steps in total darkness without blinding you. They are powered by three AAA batteries (not included - but that's fine with me because I have been using rechargeables for years and always have a some spares). As far as installation, there is a magnet at the back of the housing, giving two options: either sticking the mounting plate on a non-porous surface, or using the magnet directly on a metallic surface like a fridge, for example. 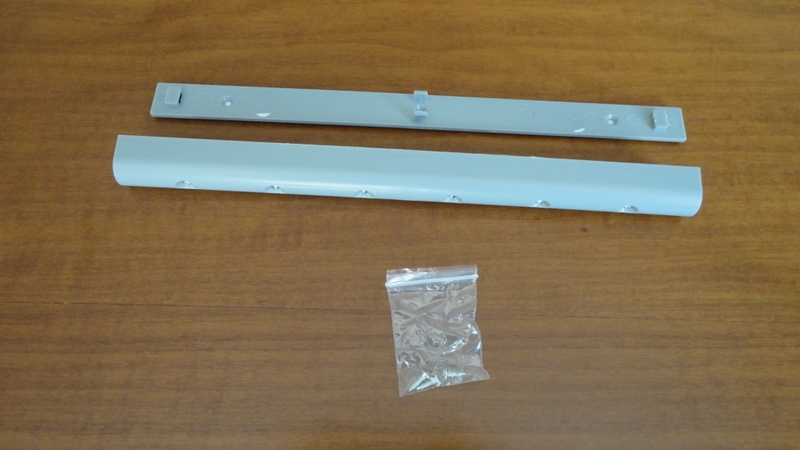 A third option is to insert a plastic hanging panel between the body of the unit and the back plate. The lamp can then be hung from a hook, making it really portable. I have attached one holder to the ceramic baseboard of one room, and positioned the other two either side of the fridge, so that the light will go on at night regardless of what direction one is coming from. These small lights have made navigating the house at night effortless, whereas before we had to switch on all the lights as we went. They are also useful for our cats who sleep in the kitchen and have fun turning the lights on whenever they want. Consumption is very reasonable. 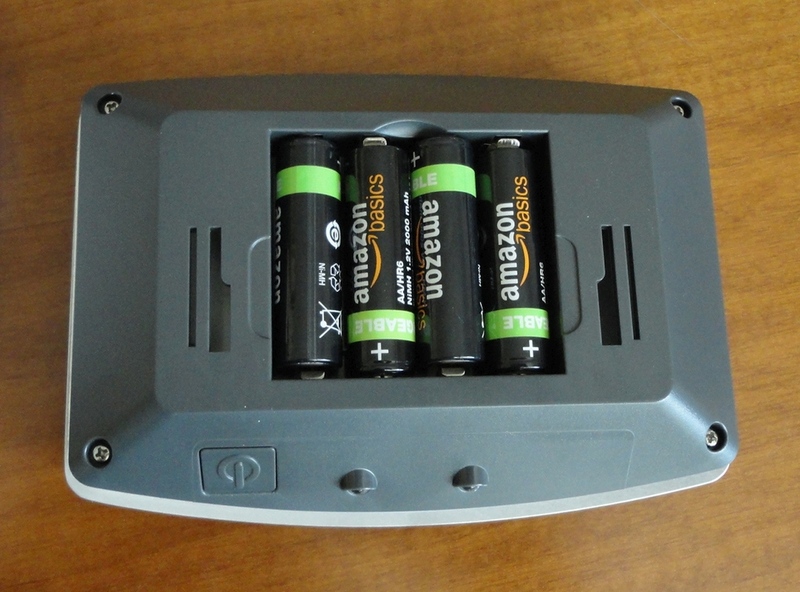 One set of fully-charged batteries lasts over four weeks. I really love the clean look and the convenience. Perfect! I've bought many different kinds of these unobtrusive battery-powered strip lights (mostly by Osram) because I find them really useful in dark corners, closets, under cabinet shelves, and to navigate through a corridor at night. The issue, however, has always been that the light generated ranged from low to neglegible. When I accepted to test and review this 6-LED light, I expected something fairly subdued, especially given the diminutive size. 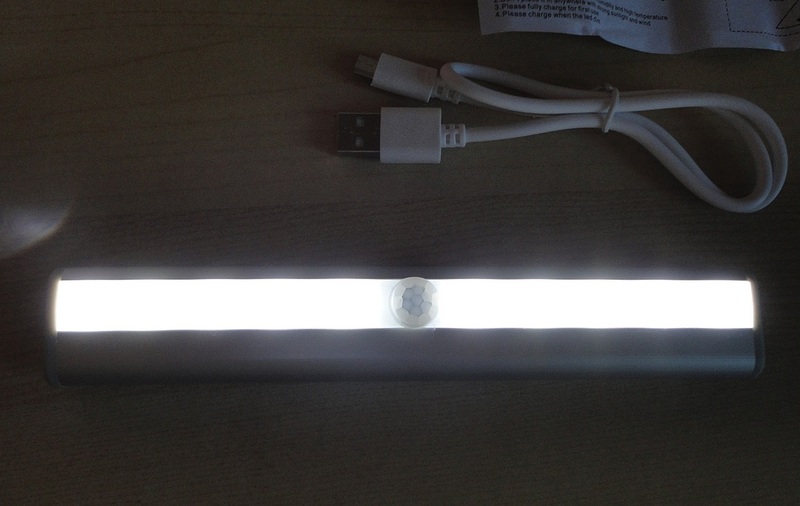 The fixture is long enough (about 27 cm) but very thin and the LED bulbs look tiny. 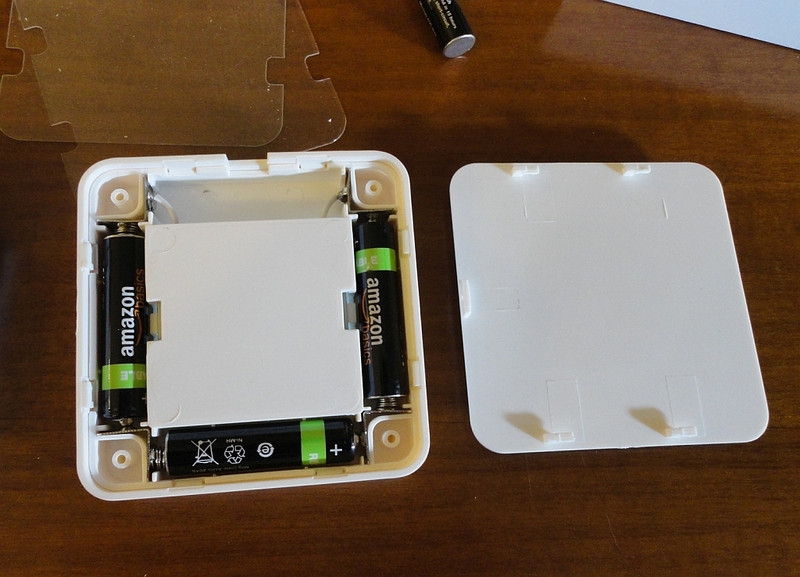 The battery compartment is accessed by sliding the front part away from the backing. The first surprise was to see that five AAA batteries are required. Usually, it's three or four. However, no big deal, I always use rechargeables and I happened to have just bought a dozen. The second surprise was the amount of light this little device emits. I mounted mine inside a utility cupboard, about 1 x 2 m, which houses the hot water tank and the electricity panels. My previous Osram lamp barely penetrated the gloom, but this lamp lights up the whole area and provides excellent visibility. The guy who came this morning to read the meter was so impressed, he wanted to know where he could buy one! 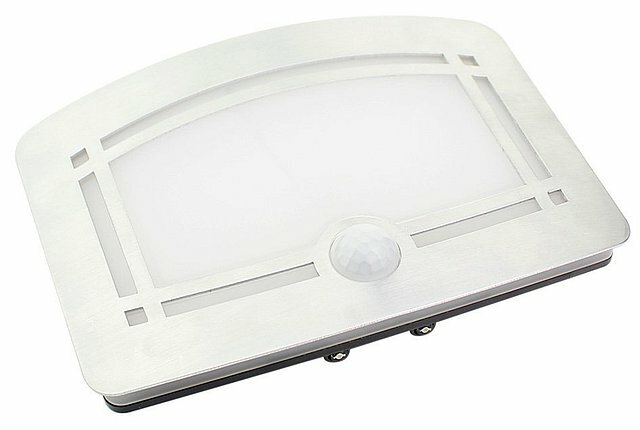 I like the sober grey colour, the very thin shape (which means you can mount it almost anywhere), the motion detecting sensitivity and, especially, the relatively bright light. For my purposes, it is excellent and far superior to its predecessor which could only be mounted with Velcro or a magnetic strip. 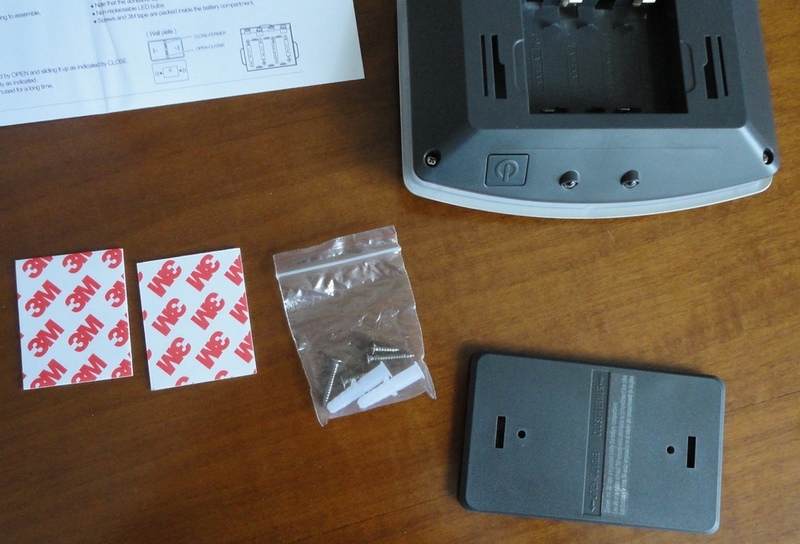 Three small screws are included in the box, as well as 3M sticky pads. All you need are the batteries. I used both adhesive and screws because I had a convenient wood strip available (the inner door frame), so cannot comment on how strong the sticky pads are by themselves. All I can say is, if you decide to use the 3M pads, make sure the mounting surface is very clean (I use alcohol to prep the area). I'm going to get more of these to use in closets and over a sink surmounted by a cabinet. The lamp is ideal for an area where you might have wet hands when you need the light. The simple design allows mounting of two or more units side by side, to form a wireless lighting strip (under kitchen cabinets, for example). The effect is quite smart and you don't need an electrician. 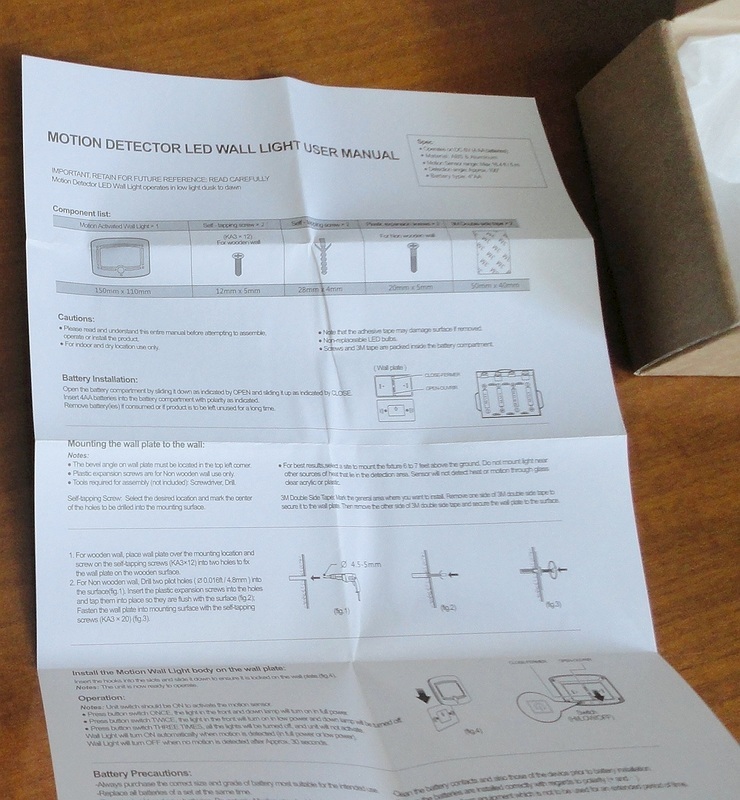 This review is for the single wall light, a sample of which was sent to me for test and evaluation. I am happy to report that I find it beautiful, efficient and economical to run with rechargeable batteries. Since I lost a similar unit due to battery leakage, I have learnt my lesson and now never use anything but rechargeables. This is a really good-looking lighting solution for a corridor, closet, hallway, storage room, or anywhere you could use a discreet light that comes on automatically when motion is detected. It was super-easy to install and works brilliantly. The lighting unit has a pleasantly curved shape, featuring a brushed stainless steel geometric design, reminiscent of the Art Deco style. It is powered by four AA batteries (not included). The sliding cover at the back gives access to the battery compartment and has pre-drilled holes for attachment with screws. 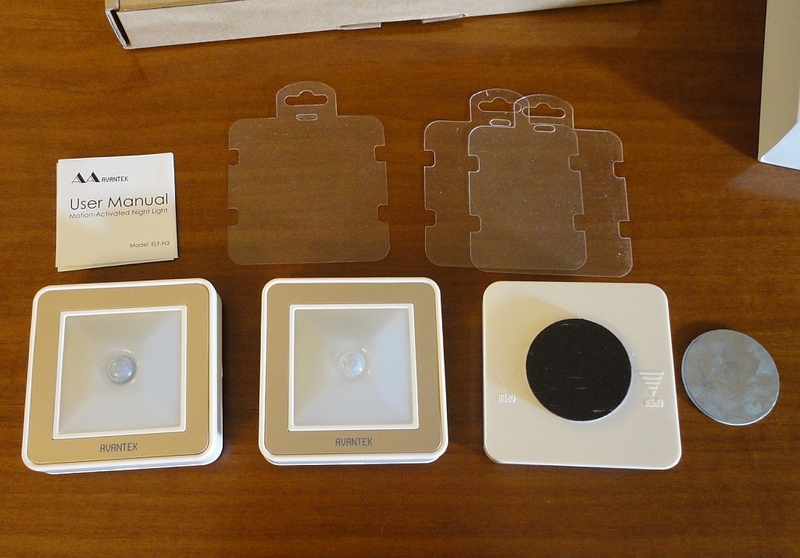 The mounting accessories included are two squares of double-sided adhesive foam, two medium screws with wall plugs and two much smaller wood screws. The instructions are very clear and comprehensive for such a simple-to-use item. Once the backing plate is in place, you simply slide the light unit over two grooves and select the mode of operation. The On/Off switch (on the bottom edge) also controls the light intensity. One press turns it ON at full power with down lights, two presses sets it ON but at low power (no down lights) and three presses turns it OFF (no light at all). Once activated, the light stays on for 30 seconds (in the absence of movement), which I find just about ideal. The sensor picks up motion within a 3-metre range and has an activation angle of 100 degrees. This versatile light looks great on the wall and is proving very useful in my hallway for night-time navigation without hunting for the light switch. It would also be invaluable during a power outage. This is a really good-looking lighting solution for a corridor, closet, hallway, storage room, or anywhere you could use a discreet light that comes on automatically when motion is detected. It was super-easy to install and works brilliantly. Out of the box, the lighting unit has a pleasantly curved shape, featuring a brushed stainless steel geometric design, reminiscent of the Art Deco style. It is powered by four AA batteries (not included). The sliding cover at the back gives access to the battery compartment and has pre-drilled holes for attachment with screws. The mounting accessories included are four squares of double-sided adhesive foam, four medium screws with wall plugs and four much smaller wood screws (a bit fiddly due to their tiny size). 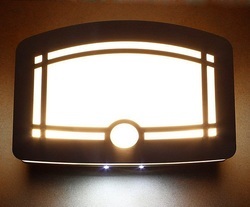 Once the backing plate is in place, you simply slide the light unit over two grooves and select the mode of operation. 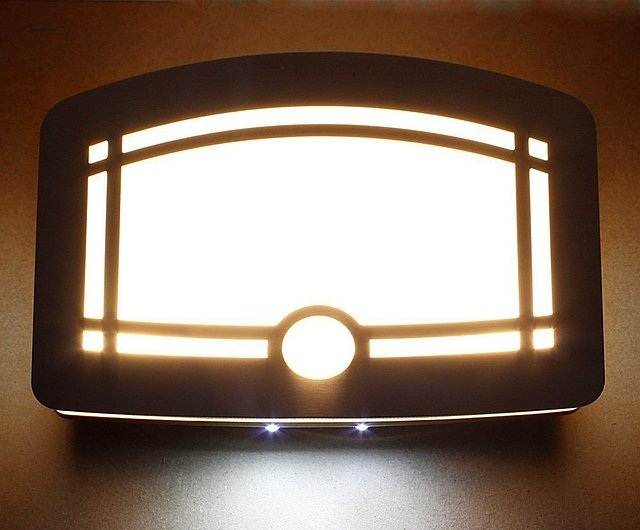 The switch (on the bottom edge) can be set to OFF (no light at all), ON (light stays on until turned off) and AUTO (lamp is activated by motion when ambient light is low). There is no way to regulate the level of low light which triggers it, but the light only stays on for 20 seconds (in the absence of movement), so for me this is a non-issue. Anyway, there is always the OFF mode. The sensor picks up motion within a 3-metre range and has an activation angle of 100 degrees. This versatile light looks great on the wall and is proving very useful in my hallway for night-time navigation without hunting for the light switch. It would also be invaluable during a power outage.